So far, you should have a basic knowledge of compiling and decompiling GoldSrc models. In reality, this is not actually a tutorial, I am just showing how I do my draw animations. There are indeed some voice overs there so you can really understand what I'm doing. If you have questions about this, please post it here on GB. Select a model to animate. Copy the model and paste it to a folder where you are going to work on. Use Milkshape 3D's Kratisto's Half-Life Decompiler to decompile the model. Make sure everything is checked on the boxes there, because it will be compiled again later. Anything missing will make the compilation fail. You need to check if the rig you are going to work with is good or not. If you are fine with the default rig of your model, check if they are joined together. 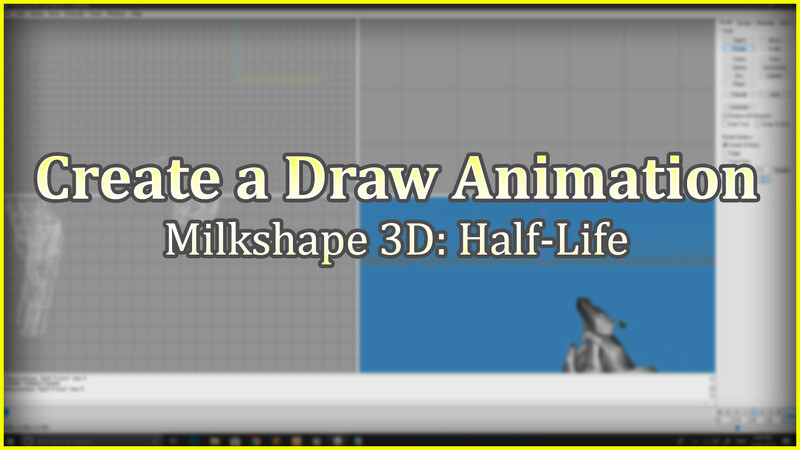 Since this is Milkshape3D, you need to be sure to join them together in a way that will help you animate reload and other stuff. Milkshape 3D cannot register cameras and needs to be viewed through the 3D window. Align it with the point of X, Y and Z axis since GoldSrc models check the alignment of the animations by this method. Since we are doing a Draw animation, we should be doing a movement that will make it look like a draw or deploy. So first, you basically need to hide the weapon from the screen on the first few frames. Create frames from 1-20. Decide where the appearance of the model will go into. Your animations should really match with the character's over all personality. Since Gordon is a scientist and the default animations expresses its movements in a simple form, then make a simple but smooth animations. Smooth your animations by using less keyframes instead of many. If you really wish to create a decent animation, you should watch a lot of movements of FPS games. When you animate, you should define your animations as what it is. If it shoots, it must look like a shoot, if you reload, it must be a defined as reload. So far, that's it. Watch the video to learn more. Those people that search for it in Internet - find little info about it. Can you please make a version with pictures and words rather than only a video?